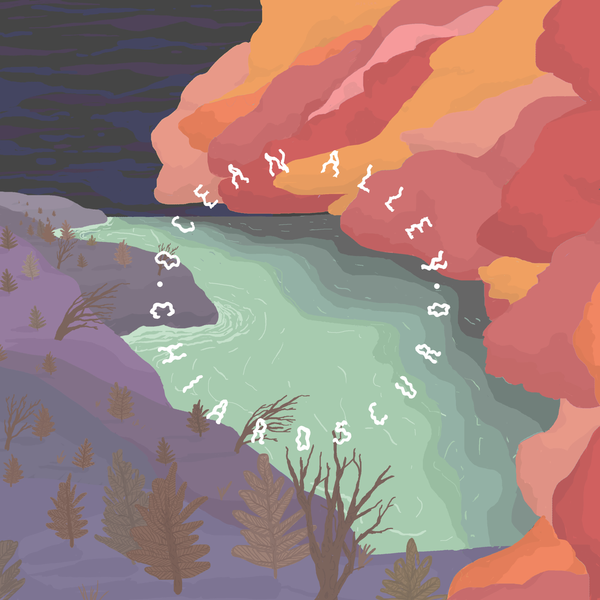 Chiaroscuro is an album that confidently and seamlessly blends rock music with elements of funk, reggae and jazz to create a unique version of psychedelic rock. Ocean Alley are an Australian band who formed in a shed in 2011. They released their debut single ‘Yellow Mellow’ in 2013 and later their album Lost Tropics in 2016. This is their 2nd album and after its release on March 9th 2018 it reached number 15 on the ARIA Chart. ‘Corduroy’ immediately sets up the record’s psychedelic feel in a song that celebrates the euphoria of drug taking with vocalist Baden Donegal singing about the ‘weightless sway’ he is feeling on a ‘cosmic lake’. This idea of drugs and being high sets the premise for the next song, ‘The Comedown’, a definite highlight on the record, one which really shows off Ocean Alley’s groovy and psychedelic mix of sounds. ‘Happy Sad’ and ‘Confidence’ both continue this mood in a similar fashion. Ocean Alley manage to explore a fair few genres on this record, with strong elements of Reggae being heard on ‘Frostbite’, whilst the rhythm section on ‘Flowers and Booze’ appears to take inspiration from Latin America. The album arguably reaches its lowest point with ‘Bones’. Whilst not a bad song in and of itself, listeners who have been enjoying Ocean Alley’s unique blend of genres may find this track a bit unvarying – a fairly generic rock song. ‘Man You Were Looking For’ is the album’s final and only acoustic track and provides a nice contrast to the distorted guitars throughout, ending the album on a relaxed but still strong note. Chiaroscuro itself is an Italian term and art concept about light and dark shading. The record aptly fits this title with some tracks seeming fairly light-hearted and up-beat (‘Flowers and Booze’) whilst others have a slightly darker tone (‘Rage’). Overall, the record is a strong one, a solid follow up to Lost Tropics. Ocean Alley are currently touring in Australia and are heading to the US for some shows in November. It will be exciting to watch how this band develop and grow in the years to come. Well worth a listen!